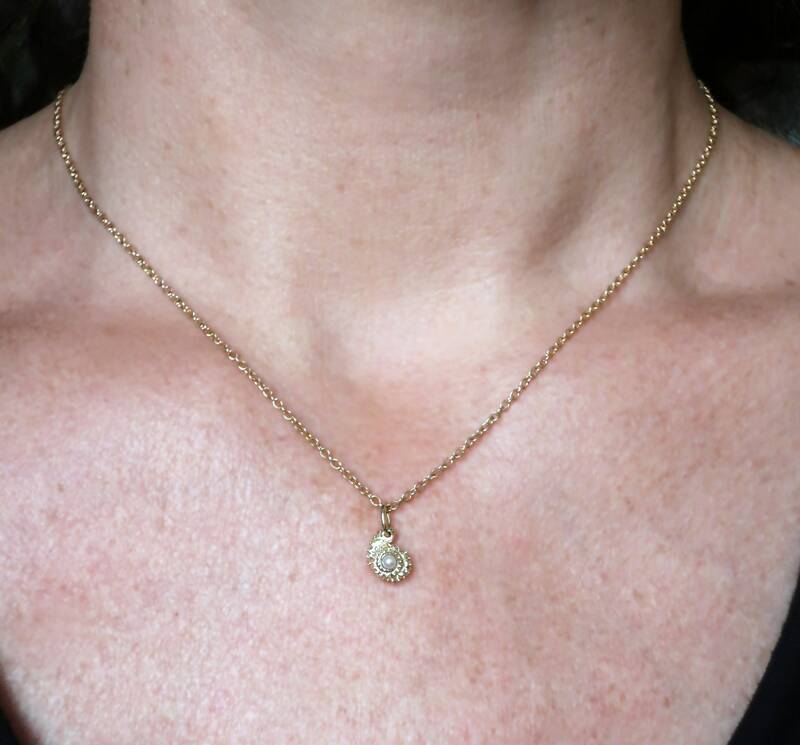 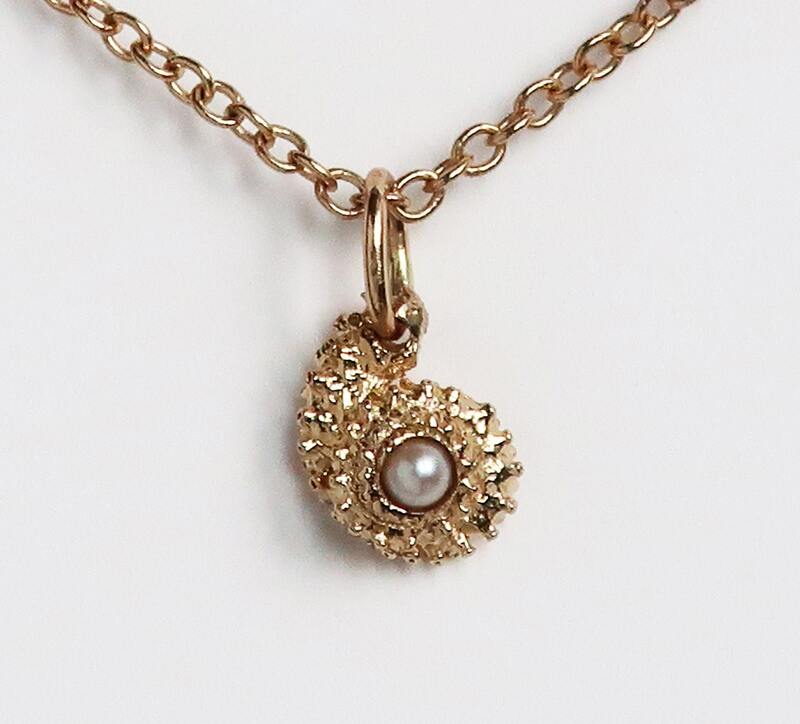 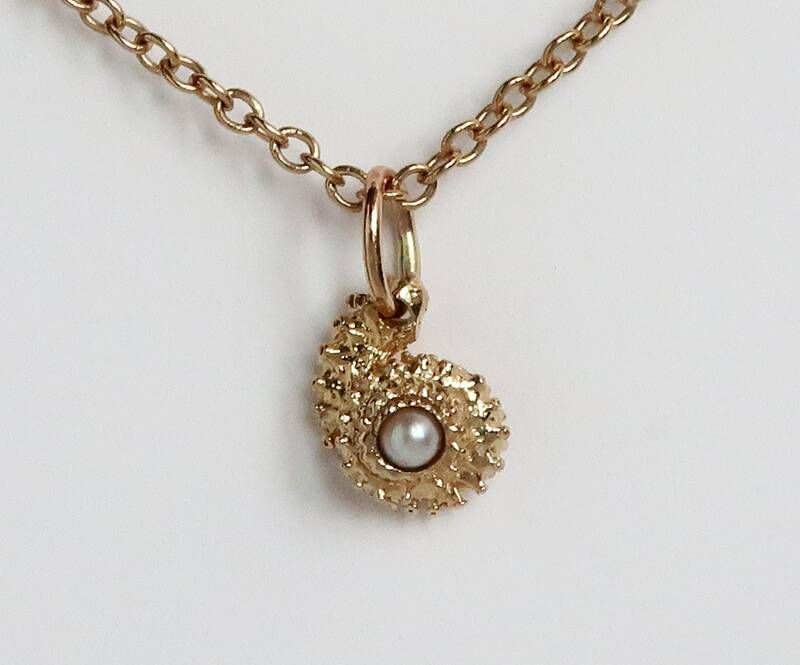 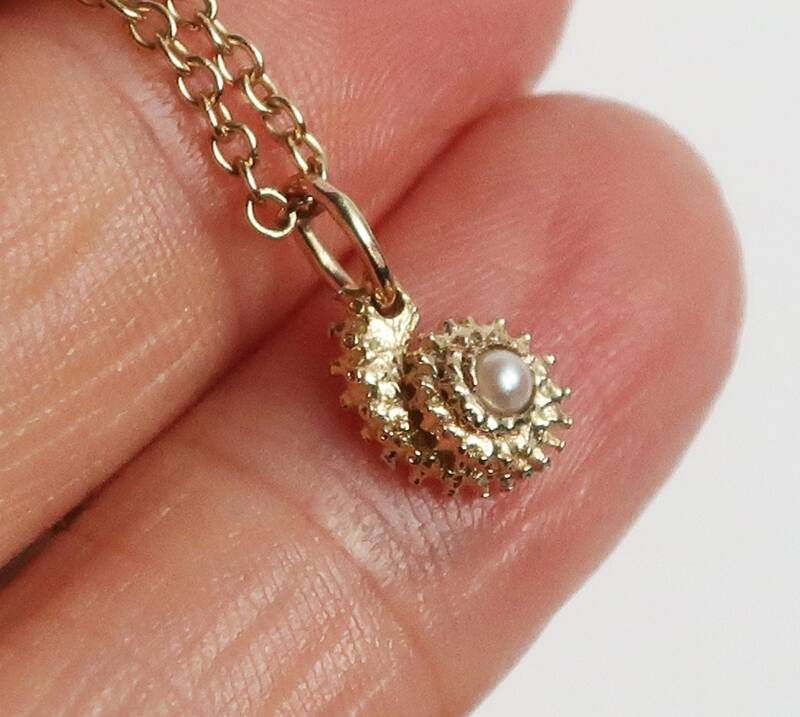 A small 10k solid yellow gold curled tentacle is set with a beautiful 2mm cultured pearl at its center. 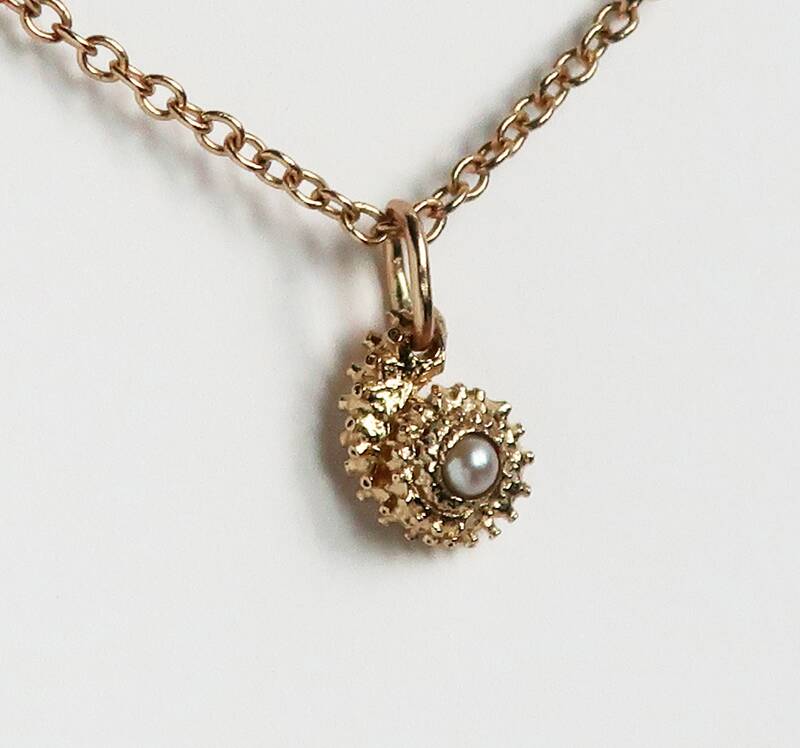 Available as charm only or hung on a 1.5mm wide, 40 cm (16") 10k or 46 cm (18") yellow gold cable chain (see options). 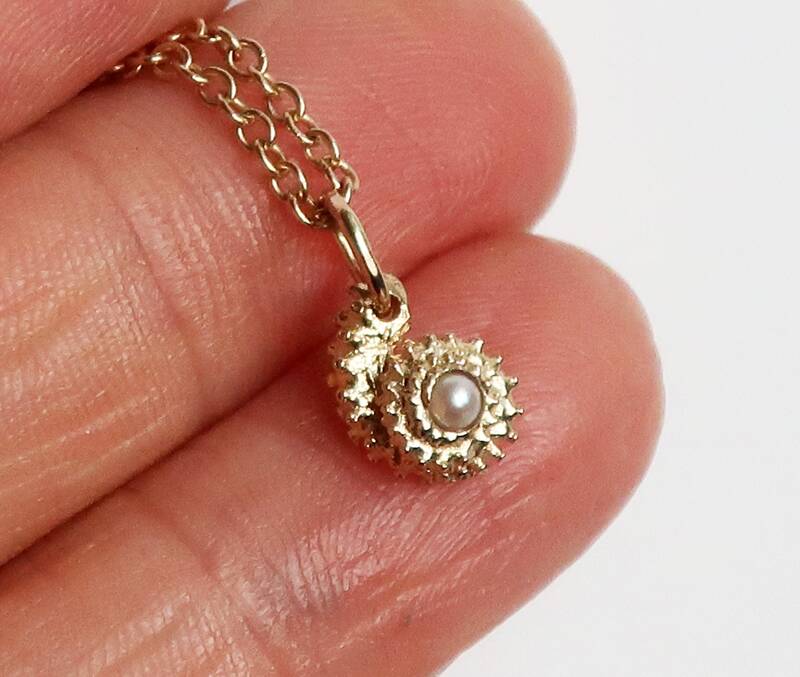 The tentacle has lovely detailing and measures approximately 7mm x 9.5mm.